The NX marks Lexus’s debut in the premium mid-size crossover market. It displays an edgy, contemporary design that’s aimed at attracting new customers, notably urban people with active lifestyles. Two powertrains will be offered in the UK: a highly efficient hybrid system in the NX 300h; and a new Lexus-developed 2.0-litre petrol turbo engine in the NX 200t. Both all-wheel and front-wheel drive versions will be available within the range. The NX 300h will debut in the UK in October 2014, in all-wheel and front-wheel drive versions; the NX 200t will follow in March 2015, exclusively as an F Sport AWD model. Innovative on-board technology will be available, including a wireless charging tray for easy charging of mobile phones and other devices and the first application of a new Lexus Remote Touch Interface with a touchpad control. Further features include a new Panoramic View Monitor, a comprehensive multi-information display (incorporating for the first time a G-sensor and boost meter), head-up display, blind spot monitor and Rear Cross Traffic Alert. The NX 300h and 200t F Sport versions display a bolder design, with specific features such as an individual treatment of the spindle grille, a lower front bumper, dedicated wheel design, black-finished door mirror housings, dedicated interior colours and trims and sports seats. Beyond the styling these versions of NX will benefit from performance dampers. Takeaki Kato, the NX Chief Engineer, said: “The NX is a premium crossover, combining performance, numerous on-board technologies and alluring design. “Luxury is epitomised by small but important details, as can be witnessed in the attention to detail in areas such as the feel of the switchgear, the arrangement of the courtesy lights, the metallic finishes for the wheels and other innovations that will set the standards for future Lexus models. 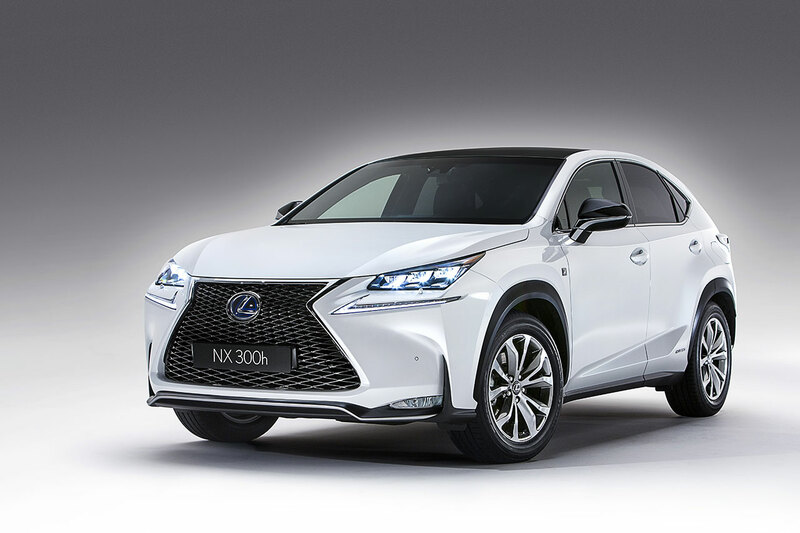 The NX has been substantially influenced by the LF-NX concept and has been designed to express a sense of agility not usually associated with an SUV, as well as the practical quality required for driving around town. The flared front and rear elements are fused to a diamond-shaped body which has its starting point in the spindle grille. The flared arches house 17 or 18-inch wheels and contribute to the car’s crouching, muscular stance. Lexus’s distinctive design language is also expressed in the innovative LED headlamps and daytime running lights. The side profile shows the peak of the roofline is set towards the back of the vehicle, which translates into ample headroom for those sitting in the rear, while creating a tight silhouette. Details include an innovative door mirror design and a door handle mechanism with a concealed key barrel and integrated lighting, features which enhance the overall premium look by creating a smooth finish along the side of the car. The rear is punctuated by Lexus’s L-shape combination lamps, fitted with seamless LED lighting. The bodywork design echoes the spindle grille treatment at the front. Lexus’s ambition for the NX’s cabin was to produce a design that combines the structural beauty of a high-performance vehicle with materials and textures that express premium quality and functionality. The car’s SUV strengths are expressed in details such as a thick-rimmed steering wheel, a central silver frame embedded in the instrument panel and robust knee pads for driver and front passenger. Contrasting textures around the cabin and the use of a quilted seat upholstery pattern reference the NX’s status as a crossover vehicle. The NX continues the development of Lexus’s display and operation zone dashboard design concept and provides the driver with easy, intuitive command of its advanced technology features using new and improved HMI controls. Lexus has also focused on interior space and seating, ensuring ample overall headroom and a generous front-to-rear couple distance. The NX also has the longest luggage area load length in its class. The NX 300h uses a sophisticated hybrid system control specially developed for the model, using the proven Lexus 2.5-litre Atkinson cycle engine, generator, motor and battery. Total system output is 195bhp/145kW. Lexus is targeting CO2 emissions of less than 120g/km, which corresponds to combined cycle fuel economy of 54.3mpg. The NX 300h will be available in front and all-wheel drive versions, equipped with one or two electric motors respectively. 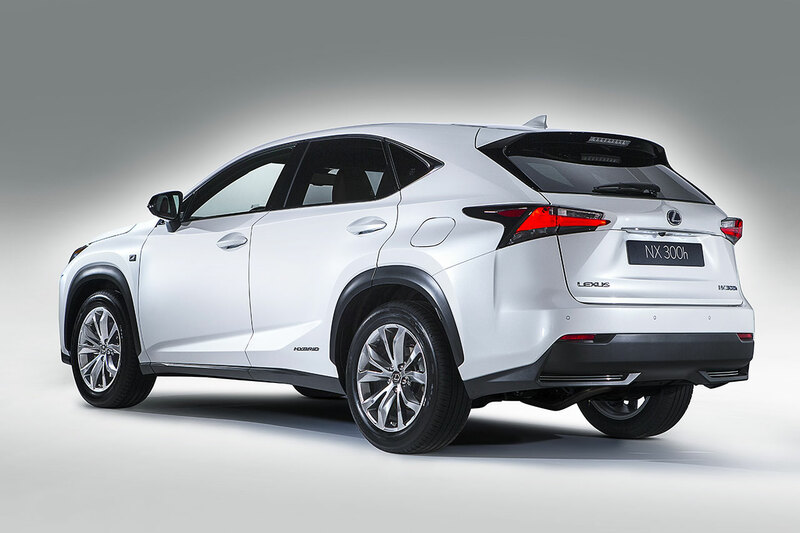 Features specific to the hybrid NX include sprung-weight damping control to increase ride comfort and handling stability by reducing pitching when driving on uneven surfaces. In common with other Lexus models equipped with Lexus Hybrid Drive, the NX 300h will offer customers considerable cost of ownership advantages, thanks to a combination of low maintenance and running costs, high residual values and significant tax incentives or benefits in many European countries. European and UK deliveries will begin in October this year. The NX is the first model to use a new Lexus 2.0-litre petrol turbo engine, engineered for excellent fuel economy, agile performance and responsiveness. Maximum power is 235bhp/175kW between 4,800 and 5,600rpm and maximum torque is 350 Nm, available from 1,650 to 4,000rpm. The engine underwent more than one million kilometres of testing over different road conditions and in harsh driving environments. Its design features a world-first combination of water-cooled cylinder head, integrated exhaust manifold and twin-scroll turbocharger. 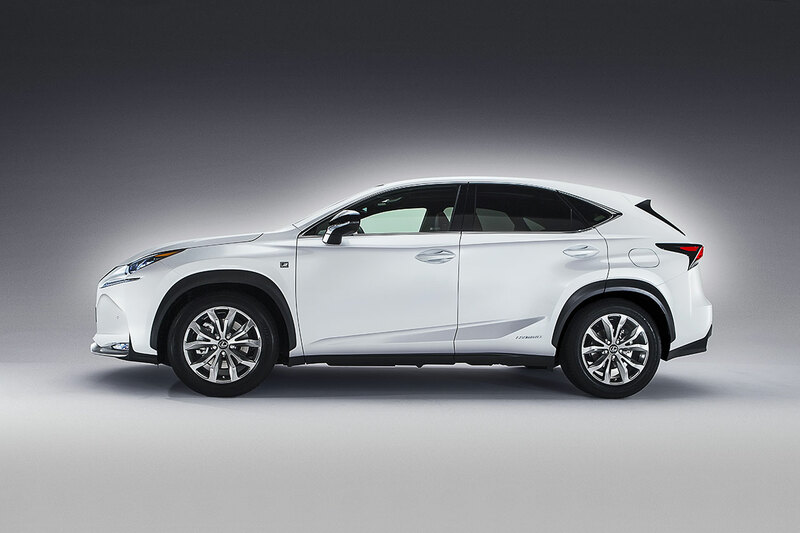 It is matched to a six-speed automatic transmission that has been specially tuned for the NX. This uses a new, torque-demand control logic, calculating and maximising the required engine torque to deliver quick response to throttle inputs and high fuel efficiency. The NX 200t will be available with front and all-wheel drive in selected European countries from February 2015. In the UK it will feature exclusively in the NX 200t F Sport AWD, with customer deliveries expected from March 2015. The new NX has been engineered for agile driving, handling stability, body control and ride comfort, including yaw-rate response to steering inputs and stability over uneven surfaces. At the heart of the design is a highly rigid body, with extensive reinforcement of the underbody. Other key elements include additional bulkheads and spot-welding, suspension braces and the application of Lexus’s body adhesive and laser screw welding technologies, and a high-rigidity glass adhesive. Some NX models are equipped with new-design dampers and Lexus’s new-generation Adaptive Variable Suspension. Linked to the vehicle’s Drive Mode Select system, this can change the level of damping force to improve comfort and reduce body roll. The comprehensive active safety package includes a new, full-range Panoramic View Monitor using the highest resolution camera yet to be fitted to a Lexus. In a first for the segment, the NX will be available with an all-speed Adaptive Cruise Control, capable of matching the NX’s speed to the vehicle in front, down to a complete stop. Other systems include Lane Departure Alert, blind spot monitor and Rear Cross Traffic Alert. A head-up display is also featured in the range.